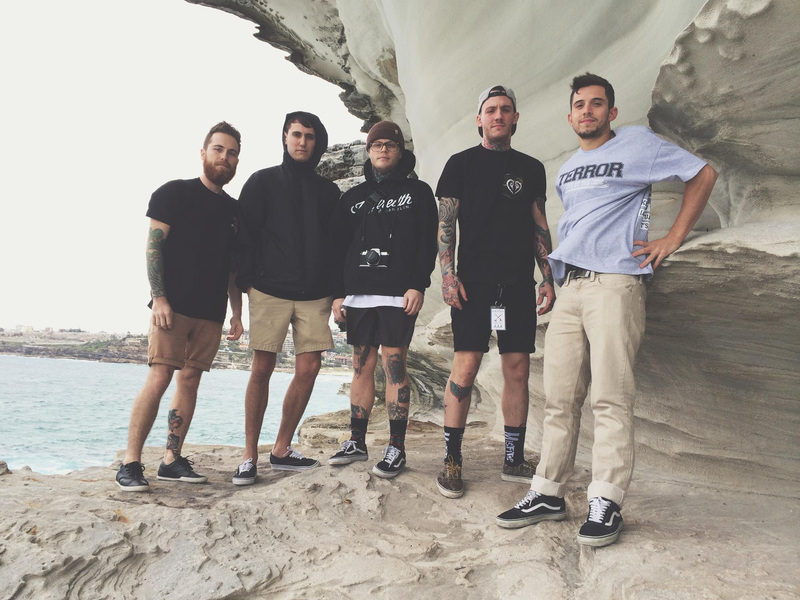 Hundredth from Myrtle Beach, South Carolina, have released a new track called ‘Demons’. The song comes off of their upcoming EP Resist, which is the companion piece to 2013’s Revolt EP. The release is set to hit stores and digital retailers on March 25th through Mediaskare Records and on limited edition vinyl from No Sleep Records. Pre-order packages for ‘Resist’ are available here. Hundredth will be touring Europe along with Being As As Ocean starting February 17th. Check here for all dates. Tags: Being As An Ocean, Chadwick Johnson, Demons, EP, Europe, European Tour, Facebook, Hundredth, Instagram, Mediaskare Records, No Sleep Records, Pre-order, Resist, Revolt, Tour, Twitter, Vinyl, YouTube. Bookmark the permalink.